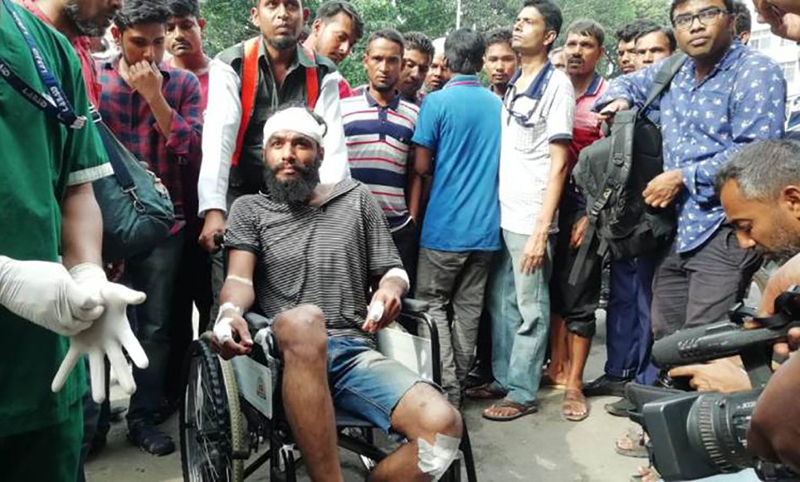 Several journalists including Associated Press photojournalist AM Ahad were attacked and injured by unidentified men close to the Science Laboratory intersection in Dhaka. [post_ads]A group of 5-6 photojournalists were standing in front of Dhaka City College with the police, covering the ongoing student protests, when the attackers, allegedly Bangladesh Chhatra League activists, attacked them, said photojournalist Al Emrun Garjon. They dragged the photojournalists from there and beat them badly. Among them, AM Ahad were beaten in head, in his legs badly. The attackers also broke his camera. 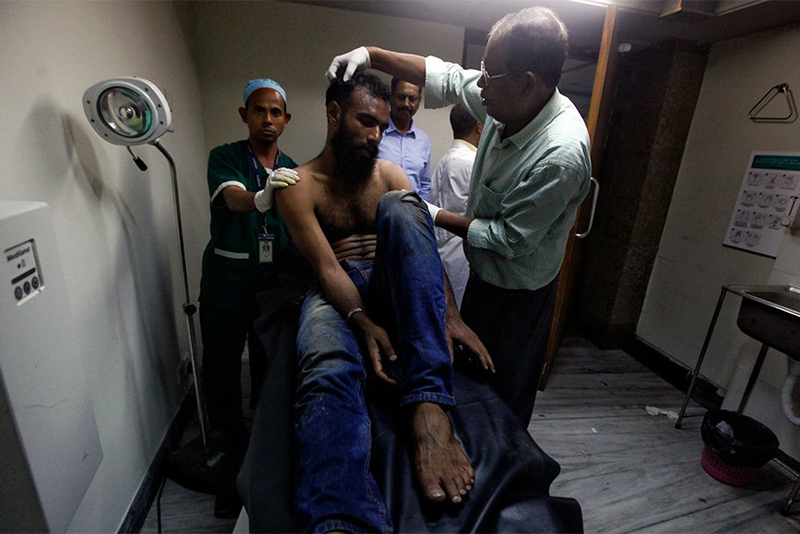 AP photojournalist Ahad was taken to Lab Aid Hospital in a bloodied state. He is now at the emergency of the hospital. Another group of journalists were attacked by unidentified men at Dhanmondi Road 2. They were standing in front of Star Kabab on Dhanmondi 2 when a group of 15-20 attackers came from the Science Laboratory intersection and began shouting against journalists, our correspondent witnessed. The group then threw brickbats at the journalists to disperse them. The journalists quickly ran away, with one of them getting slightly injured. The attackers also vandalized a Nagorik Television vehicle that was present there.